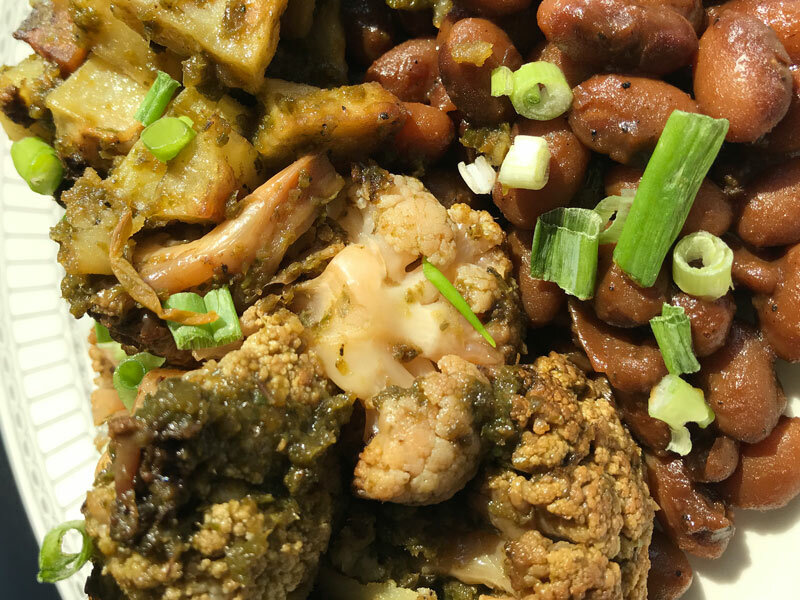 Jerk Roasted Cauliflower is one of our seasonal specials at the Harvest Kitchen Local-Foods Café in downtown Pawtucket. Now you can make it at home with this simple recipe from Chef Sean. 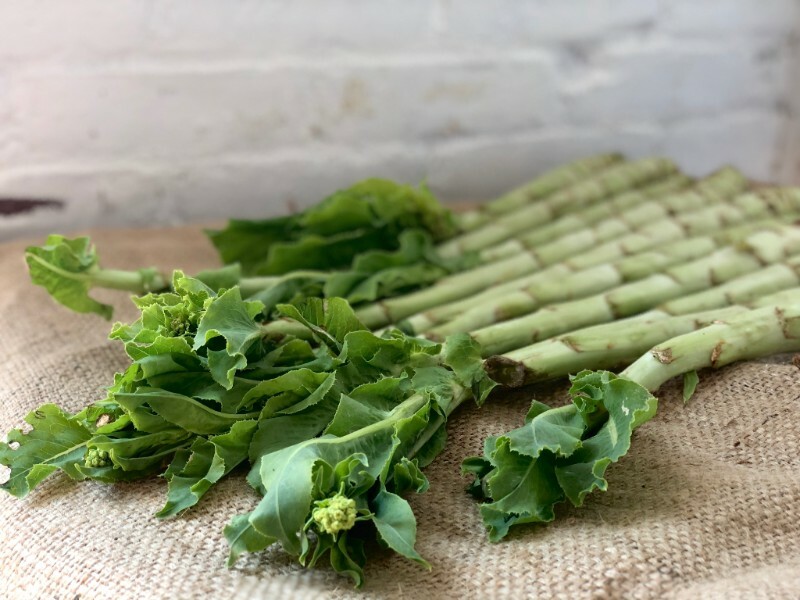 Missed local cauliflower season? No problem. Use the marinade in this recipe with your favorite vegetable of the season — or with protein like chicken, pork, firm tofu, or a firmer white fish — which would be great on the grill. Who’s buying local in our community, and what are they ordering? 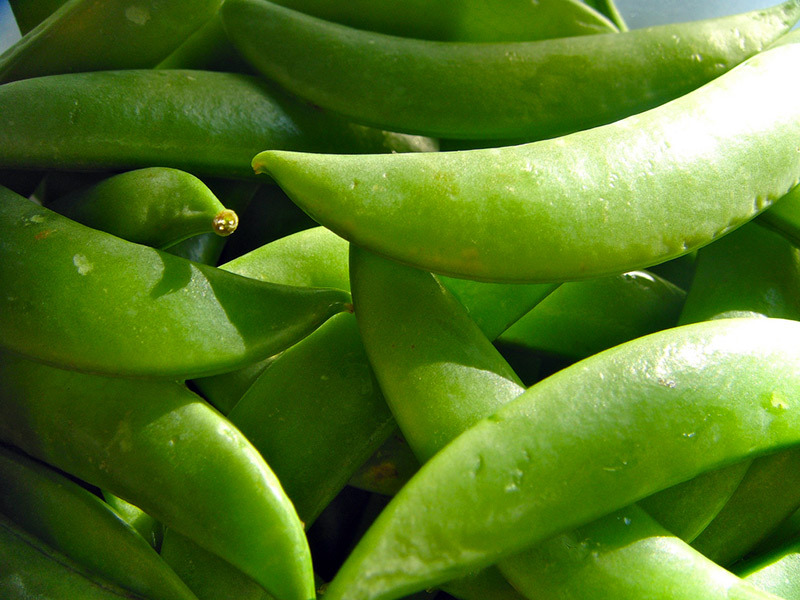 Take a look at a few of the customers who just purchased from local farmers and producers through Market Mobile, and get a sneak peek at some of the local food on offer this week like these sugar snap peas from Big Train Farm in N. Scituate, RI! 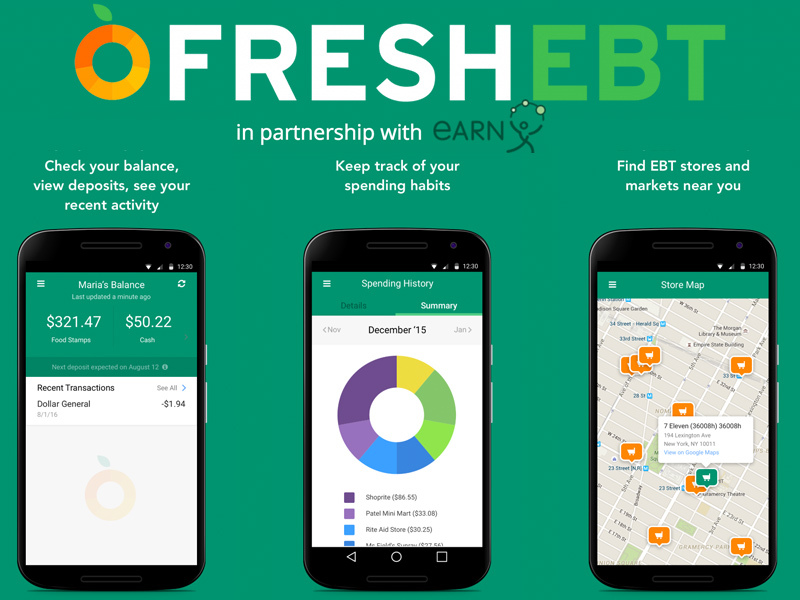 Check Your EBT Balance Instantly with Fresh EBT! 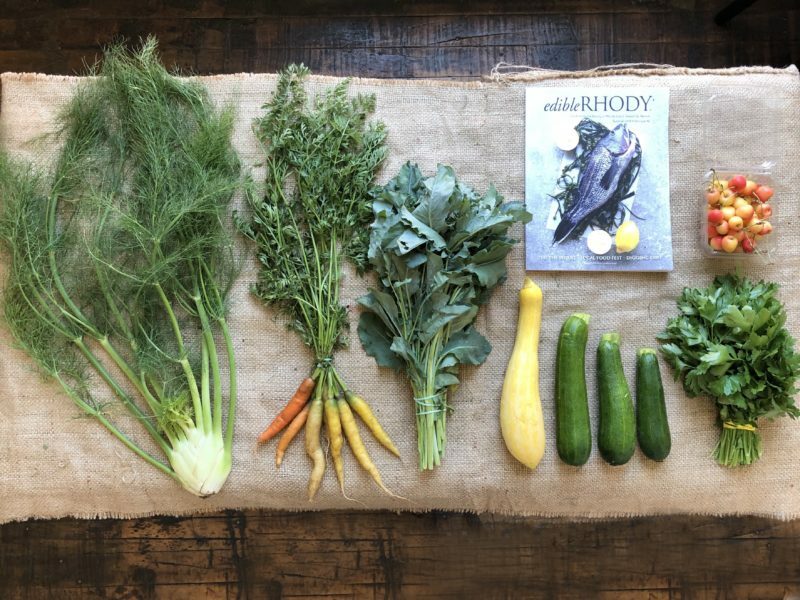 Don’t miss this food system news from around our region: A new, one-of-a-kind cookbook is here! 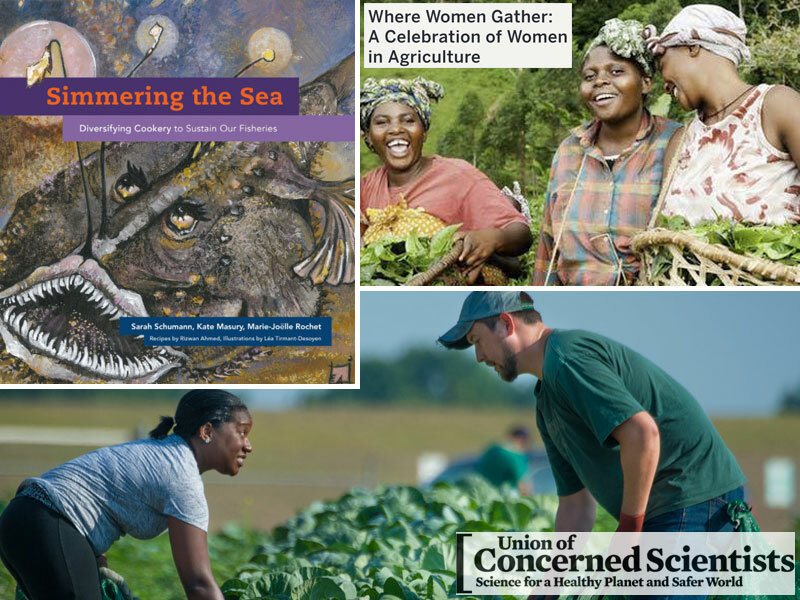 Simmering the Sea: Diversifying Cookery to Sustain our Fisheries was produced in partnership between URI, Eating with the Ecosystem, and JWU College of Culinary Arts. 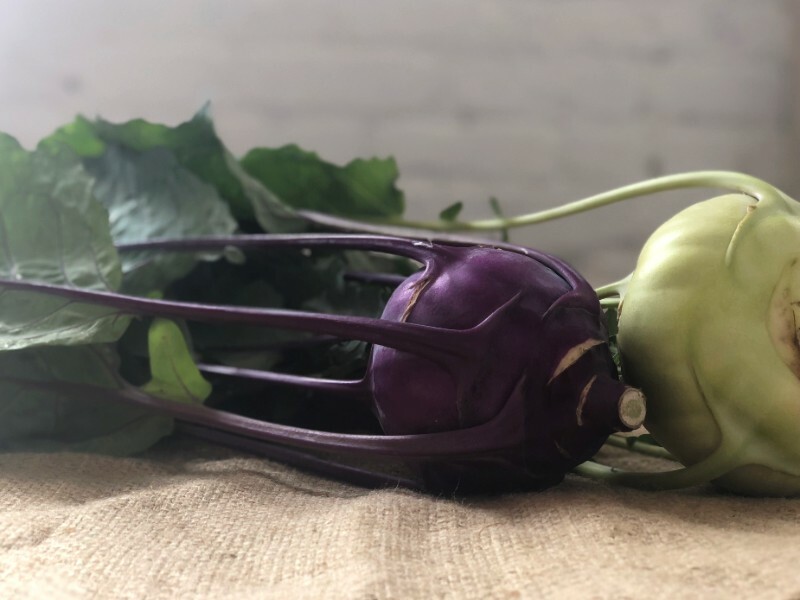 Food to Institution New England reports on New England’s score in the Union of Concerned Scientists’ 50-State Food System Review. Plus, save the date and register for Where Women Gather, a celebration of women in agriculture conference & symposium coming up this fall. 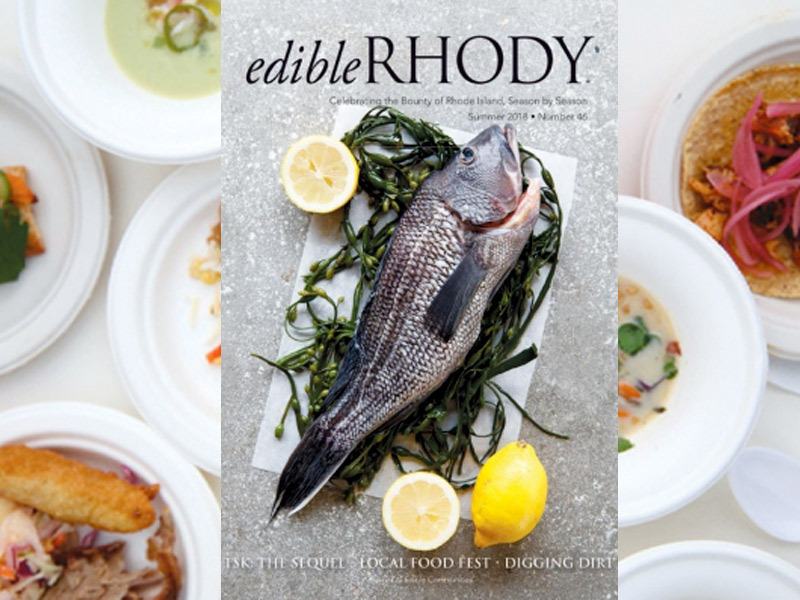 Have you seen the gorgeous new summer issue of Edible Rhody magazine yet? 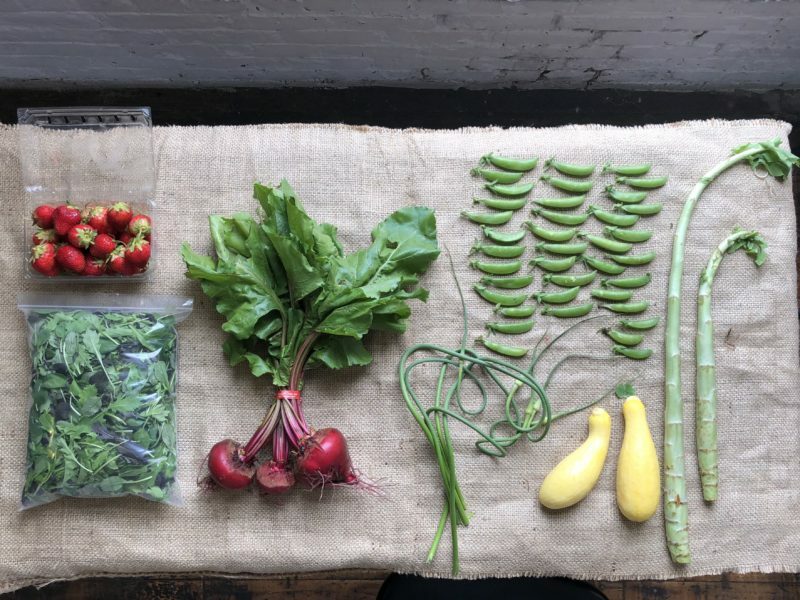 We are so proud of the Local Food Fest at Castle Hill Inn — and thrilled to see it featured in such a beautiful way! Get your tickets today for our favorite foodie event of the season, coming up August 14th! Harvest Kitchen Cooks with the Seasons: Grape Leaves! Grape leaves are in season! Harvest Kitchen uses these tannin-rich leaves to keep our pickles crispy, without affecting the flavor. 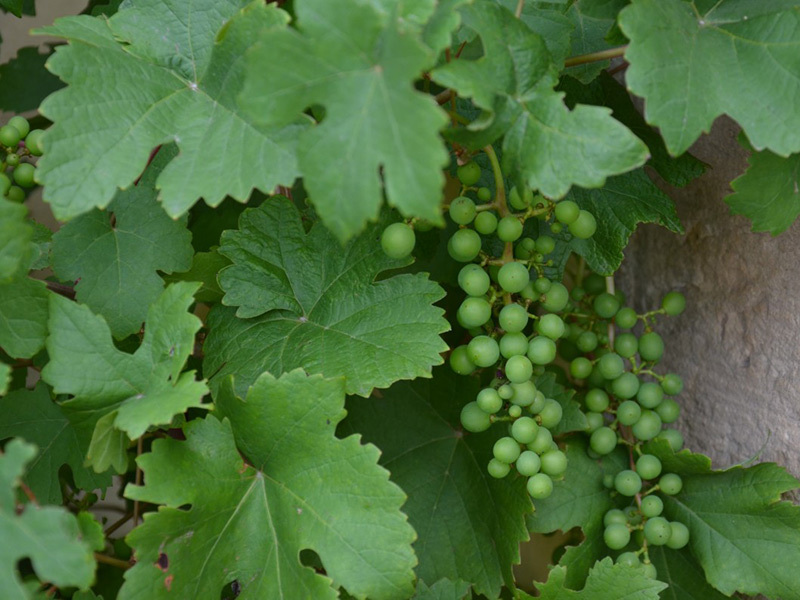 Learn about harvesting and utilizing these tasty leaves to make Lebanese Stuffed Grape Leaves from our chefs! Who’s buying local in our community, and what are they ordering? 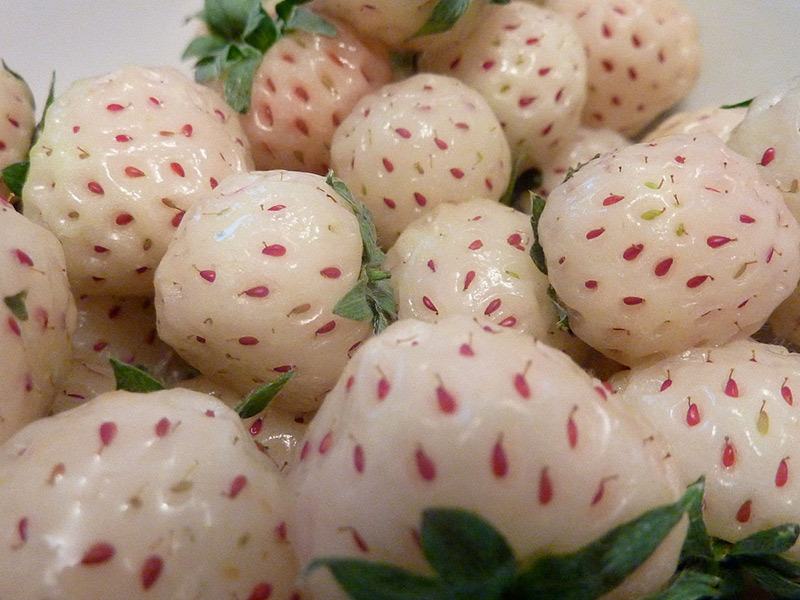 Take a look at a few of the customers who just purchased from local farmers and producers through Market Mobile, and get a sneak peek at some of the local food on offer this week like these pineberries from Ward’s Berry Farm in Sharon, MA! 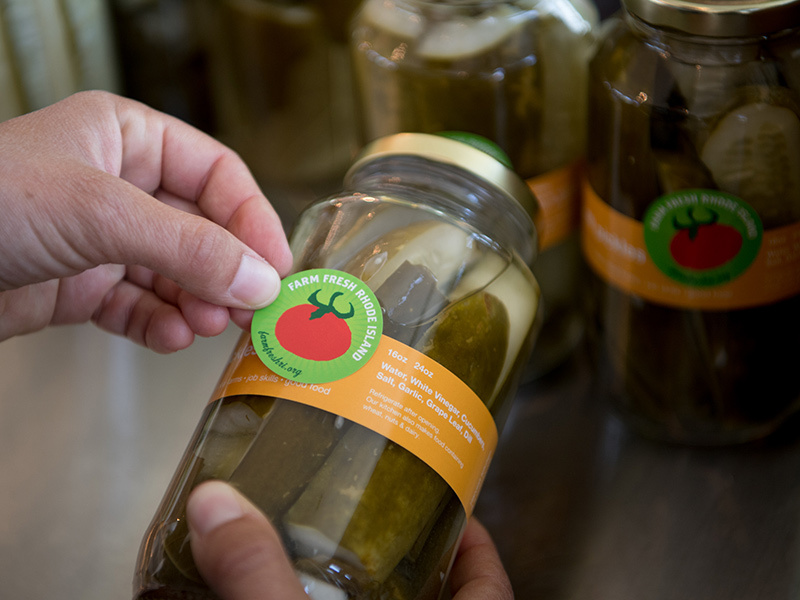 What Happens to those Harvest Kitchen Jars? Who’s buying local in our community, and what are they ordering? 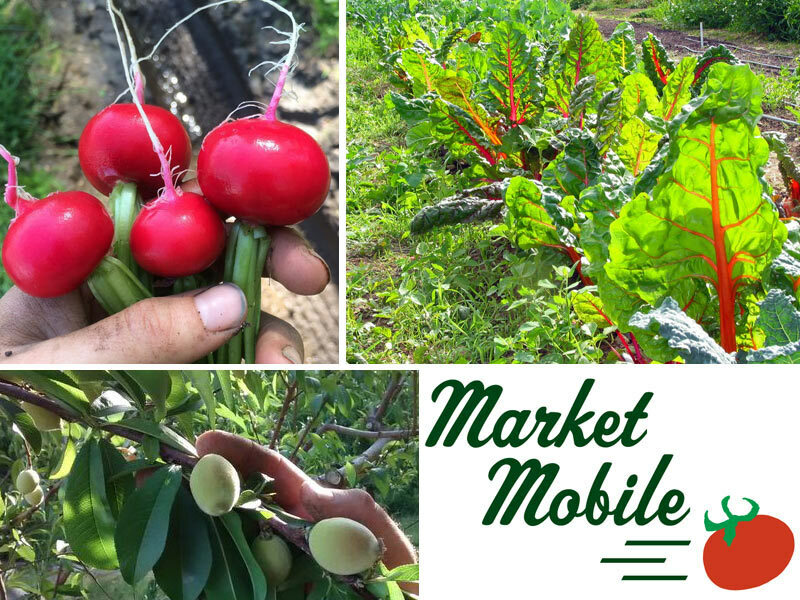 Take a look at a few of the customers who just purchased from local farmers and producers through Market Mobile, and get a sneak peek at some of the local food on offer this week like green peaches from Cook’s Valley Farm, red globe radishes from Big Train Farm, and rainbow Swiss chard from Good Earth Organic Farm! 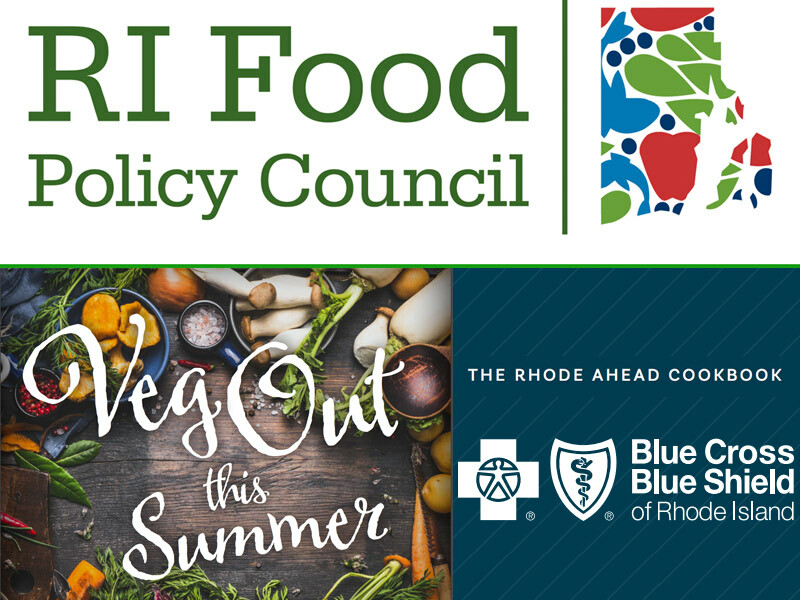 Don’t miss this food system news from around our region: The RI Food Policy Council launches a new resource — the RI Food Bill Tracker. This year’s Rhode Ahead Cookbook from Blue Cross & Blue Shield of RI is out, featuring several recipes from Farm Fresh RI! Plus, ever wondered about the impact of the Local Agriculture and Seafood Act (LASA) Grant Program? Learn more.